During your dental appointment with Dr. Jason Fowler, he may find that bacteria and infection are attacking your gums and the structures that support your teeth. Periodontal treatment can resolve these concerns and prevent them from causing long-term damage, such as tooth loss. 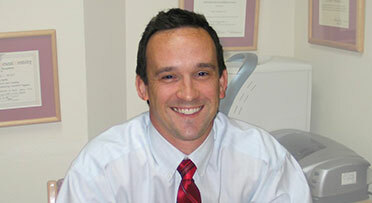 Patients rely on Dr. Fowler in part because of the expertise he offers and in part because of his supportive approach. He has spent more than a decade helping people in our community protect the health and cosmetics of their teeth. Dr. Fowler will consult with you about what to expect in your care, and a trained hygienist from his practice will perform the periodontal treatment to eliminate the source of the problem. Periodontal treatment is an approach to resolving periodontal disease. Over time, bacteria and other particles in the mouth can develop into a sticky plaque on the surface of your teeth. Without proper brushing and flossing, this plaque can harden into tartar, which typically requires intervention by a dentist to remove. The initial stage, gingivitis, can cause gum inflammation and bleeding. However, these signs can be hard to notice, and you may not experience any discomfort or pain related to the disease. Patients can typically resolve gingivitis with better oral hygiene at home and with care from a dental professional. The latter stage, periodontitis, occurs when plaque develops below the gum line and produces toxins that inflame the gums. Even though the symptoms may be subtle, your body’s immune response may begin to break down tooth-supporting tissues and bone. Your gums may also separate from your teeth and form pockets that can become infected. Signs of periodontal disease include red and swollen gums; tooth sensitivity or pain; gum recession; loss of dental tissue and bone; and, eventually, tooth loss. Dr. Fowler’s practice treats periodontal disease through a deep cleaning (scaling and root planing) procedure. This is a well-established and effective method for eliminating periodontal disease, and it should clear the way for your teeth and gums to heal naturally. Prevent long-term damage. A deep cleaning in the early stages of periodontal disease can avert more extensive dental work and oral surgery such as gum grafting, bone grafting, and tooth extraction and restoration. Improve cosmetics. The symptoms of periodontal disease can detract from the appearance of your teeth and gums. Treatment will give both the time they need to heal and will prevent aesthetic concerns such as gum recession and tooth loss. Be more comfortable. You don’t have to live with tooth sensitivity or pain. Many patients find that periodontal treatment is much more comfortable than the day-to-day symptoms of periodontal disease. As part of your dental visit, Dr. Fowler and his team will take X-rays of your mouth and examine you for symptoms of periodontal disease. As mentioned above, one sign of problems is deep pockets that can develop between your teeth and gums. If these pockets reach a depth that is greater than four millimeters, Dr. Fowler may recommend that you receive a deep cleaning, as regular flossing and brushing will not adequately remove bacteria from these pockets. Your dental hygienist will make available topical gels, anesthesia, nitrous oxide (laughing gas), and sedation options to make your experience as comfortable as possible. The dental hygienist will carefully clean the periodontal pockets and the teeth roots and smooth away the rough surfaces of the roots. This will eliminate plaque and tartar from these sites and remove the source of the periodontal disease. You may have a follow-up visit with the practice so that Dr. Fowler can make sure your gums and teeth are healing as expected. He may also recommend other treatments to address any permanent damage that periodontal disease may have caused. To promote your ongoing oral health, brush and floss your teeth regularly and schedule routine dental visits with Dr. Fowler. Periodontal treatment can improve ongoing dental discomfort and prevent long-term damage to your teeth and gums. If you notice signs of periodontal disease, schedule a consultation with Dr. Fowler online or by phone at (817) 731-6386.